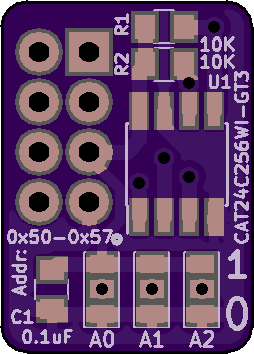 2 layer board of 0.51 x 0.71 inches (12.8 x 17.9 mm). Uploaded: April 13th, 2019 23:44. 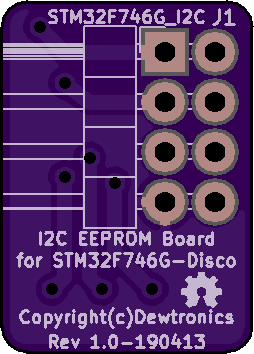 EEPROM Add-on Board for the STM32F746G Discovery board via the EXT I2C connector.